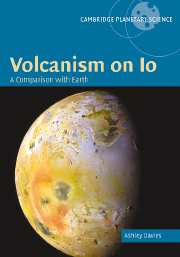 On Monday, I received my copy of the book Volcanism on Io: A Comparison with Earth by JPL researcher Ashley Davies. This book, by Cambridge University Press, was published late last year. I had considered picking up a copy since it was published, but the cost of the book ($133 on Amazon.com) was a significant barrier. Thankfully due to some lowered expenses this month, I was able to pull the trigger on buying this book. 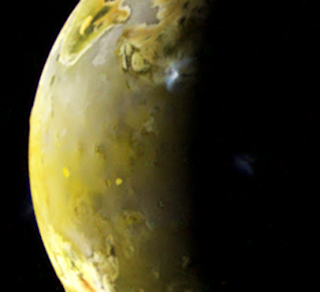 Volcanism on Io is a review of our current knowledge, post-Galileo, of Io's volcanic activity. This is a much more focused publication compared to the other major post-Galileo Io book, Io After Galileo, edited by Rosaly Lopes and John Spencer with chapters contributed by nearly 30 authors, including yours truly. 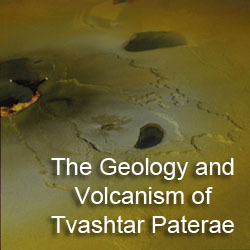 The book focuses on modeling of volcanic activity, particularly how thermal emission observed from remote instruments can be related to the style of volcanic activity. Davies also spends several chapters on reviewing our current ideas for the eruption styles at several distinct volcanoes, including Loki, Pele, Tvashtar, Prometheus, Amirani, and Pillan. The meat of the book comes from Davies's explanation of his lava cooling model, presenting step-by-step the various aspects of it including the equations he uses. I wish more diagrams were used to show how some of the variables he uses inter-relate, making some parts of his explanation a bit hard to follow. Also, the chapter in question, Models of Effusive Eruption Processes, is largely a rewrite of the author's 2005 paper on the subject. This fact highlights my most important criticism of this book. Davies does a great job in covering the subjects that are in his wheelhouse: NIMS observations of Io's volcanic activity, internal structure, and modeling of terrestrial and ionian volcanism. Discussion of subjects that are less so, like volcanic plumes and geomorphology, seem to rushed. For example, I would have loved to have seen a chapter covering modeling of volcanic plumes in as much detail as the one on effusive eruption modeling. Volcanism on Io, with the exception of parts of Chapter 7 where more illustrations could have been very helpful in understanding the equations he was presenting, the book is well illustrated, presenting models based on our current understanding of Ionian volcanism. This is particularly useful in his cutaway views showing the envisioned structure of Io's lithosphere in Chapter 18 and of paterae formation in Chapter 15. 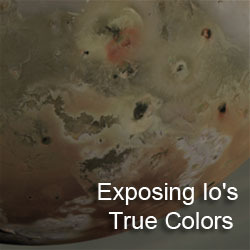 Volcanism on Io provides a focused examination of several of Io's volcanoes. Applying the models Davies presented in the preceding chapters, the author provides in this book a detailed analysis of the eruption styles of specific volcanic centers. I almost wished he expanded his analysis to more volcanoes, like Isum (where several eruptions centered on Io's largest fissure were observed by Galileo), Hi'iaka (a patera with a potentially unique formation process), Kanehekili, and Masubi. It should be noted that the manuscript was likely written sometime in late 2006, before the New Horizons flyby as no results from that encounter are presented. Ashley Davies's Volcanism on Io is an in-depth look at an important aspect of Ionian science, its volcanic activity. The book provides a review of our current state of knowledge in the subject and focuses on Davies's own models for how the observed thermal emission relate to several important eruption parameters, such as volumetric flow rate, and further, how those relate to eruption style. Davies does an excellent job in explaining how these different eruption styles work. I wish Davies had spent more time on subjects that are not in his wheel house, such as the geomorphology of volcanic terrains and volcanic plumes. Still, I definitely recommend this book for people wanting to better understand the nitty-gritty of perhaps the most important aspect of Io science, the active volcanism on display. Well I finally pulled the trigger on this book and ordered it on Amazon last week. 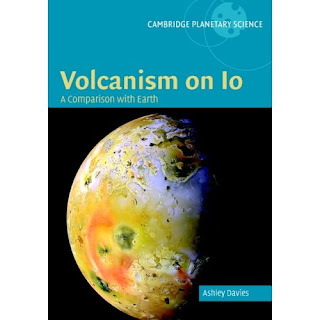 Volcanism on Io: A Comparison with Earth by Ashley Davies is a comprehensive overview of the current state of knowledge into the volcanism displayed on the surface of Io. An overview of terrestrial volcanism and remote sensing studies is provided as a background to better understand what we see on Io. The book arrived via UPS this morning and am slowly working my way through the book. I plan on providing a thorough review sometime this week on this impressive tome. A fresh eruption at Reunion Island's Piton de la Fournaise volcano today produced a new basaltic lava and a large lava pond and an increase in SO2 concentration within its eight kilometer-wide caldera. Thomas Staudacher, from the volcano observatory on Reunion captured the view at left of the caldera showing this fresh flow. While this eruption seems pretty minor, Piton de la Fournaise (or Le Volcan to the local residents) has recently seen an uptick in activity. 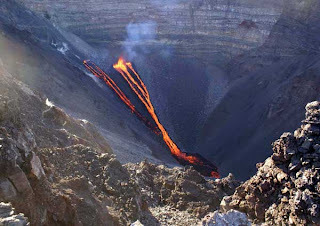 According to the AFP, an eruption in April 2007 resulted in the partial collapse of the volcano's caldera and included vigorous fire fountaining that reached upwards of 200 meters into the air. The table of contents for the October 2008 issue of Icarus is now online. 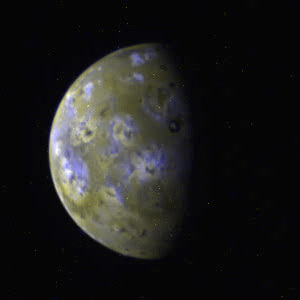 Included in this issue is "Galileo observations of volcanic plumes on Io" by Paul Geissler and Michelle McMillan. 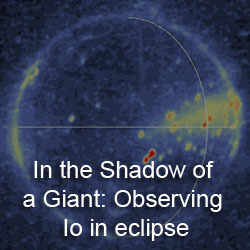 Geissler and McMillan describe the observations of Io's volcanic plumes as observed by Galileo, and look into the differences in appearance between the gas plumes observed in eclipse and the dust component observed in daylight. The paper was posted online in about four months, and yes, I still intend on doing a full post on that paper.